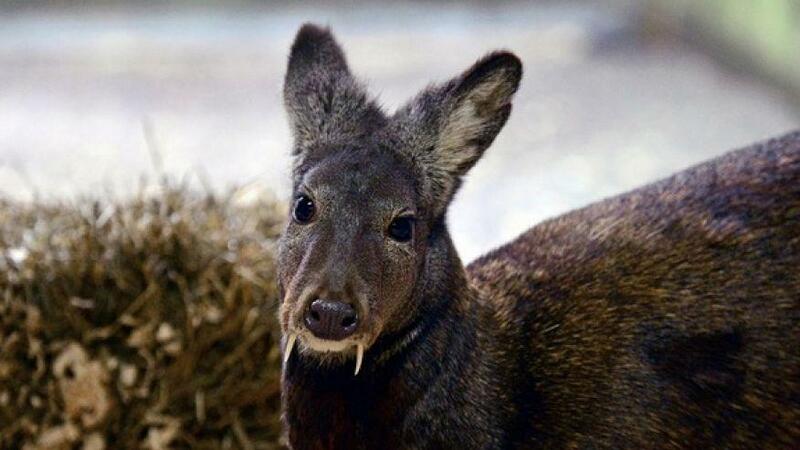 The fanged creature is known as the Kashmir musk deer, and it’s native to the Himalayas of northern India, Pakistan’s Kashmir region and northern Afghanistan. Only the male deer have fangs, and they use them during mating season to compete for females. A team of researchers scoured Afghanistan’s Nuristan province during 2008 and 2009, and recorded five sightings of the animal. This was the first time the species had been spotted since 1948. The sightings were described in this month’s edition of the journal Oryx. These musk deer are classified as an endangered species on the International Union for Conservation of Nature’s Red List. Musk-deer meat is a local delicacy, but the species is mostly hunted for its scent glands that are more valuable by weight than gold some believe the glands have pharmaceutical properties, and they sell for nearly $20,455 per pound on the black market, according to the International Union for Conservation of Nature. Three decades of war have ravaged Nuristan province, and the continued violence and political instability make the black-market trade of scent glands uncontrollable. Furthermore, the species is quickly losing suitable habitat. Recent geological surveys of the area show that it has lost about 50 percent of its mountainous forests since the 1970s, according to the study. But poaching isn’t the only threat this rare Afghan species faces; human development has fragmented the musk deer’s habitat. They rely on mountainous, coniferous forests, but deforestation and human settlements are encroaching upon the species’ vanishing home.